"International Trade Fair for Pharmaceutical & Biotech Professionals"
The INTERPHEX has proven to be the place to find all of the State-of-the-Art Solutions you need to Cost-Effectively Develop and Manufacture Quality Product. It is the premier pharmaceutical, biotechnology, and device development and manufacturing event where you can "Experience Science through Commercialization". 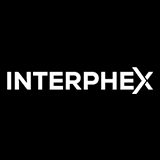 INTERPHEX is the place to see newly launched technology! New exhibitors, new technology in devices and equipment. Great expo, lots of leads and potential of business. Awe-Inspiring, New Exhibitors, New Technological Advancement In Manufacturing, Innovation And Discoveries In devices, instruments, equipment as well as in life-sciences & pharmaceutical manufacturing and compliances. Great key- note speeches. Interphex was a good networking event to find the appropriate machines suitable for my business. Profile for exhibit includes Suppliers of turnkey pharma plants, Machinery & Equipment for treatment of pharma raw materials, analytical instruments & lab reagents, testing instruments, microscopes, weighing machines, active pharma ingredients, tableting & capsulation unit, packaging materials, glassware, pharma publications.